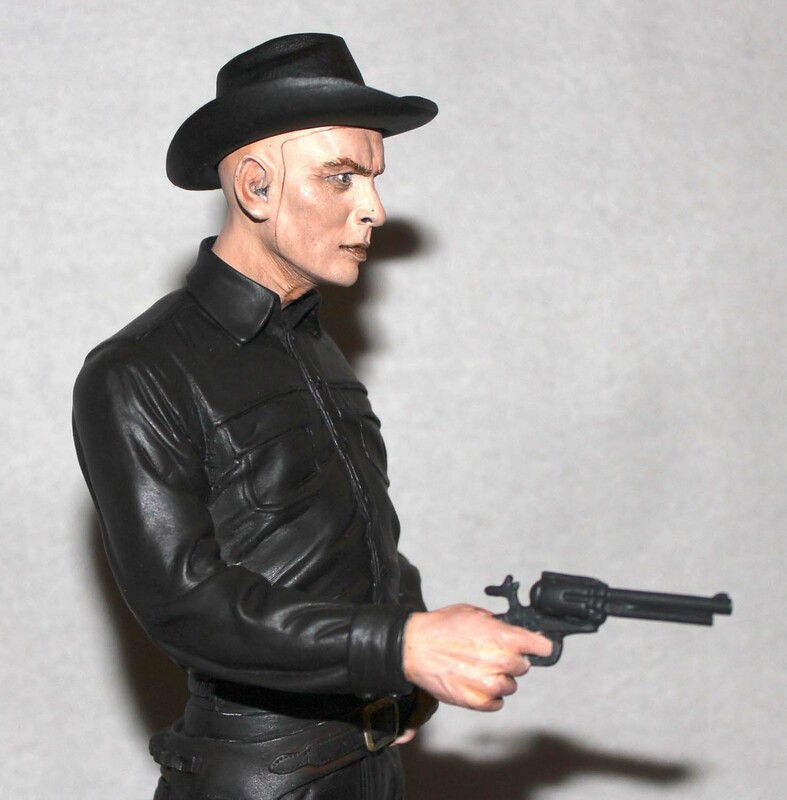 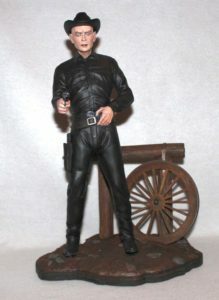 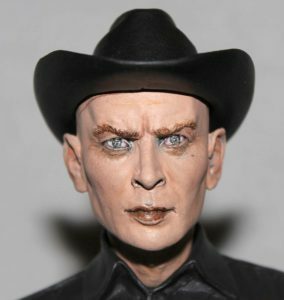 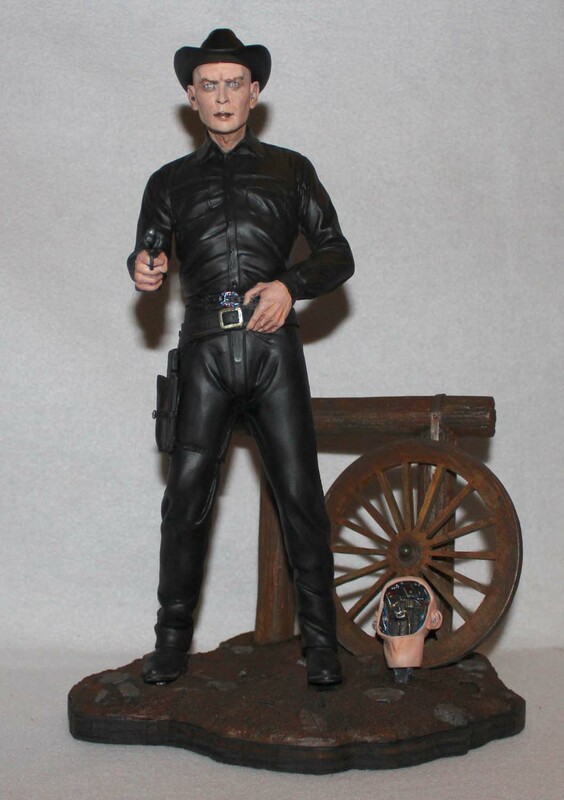 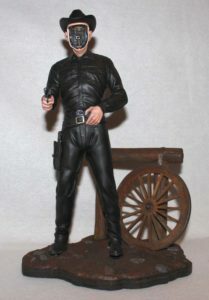 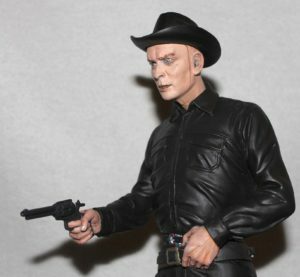 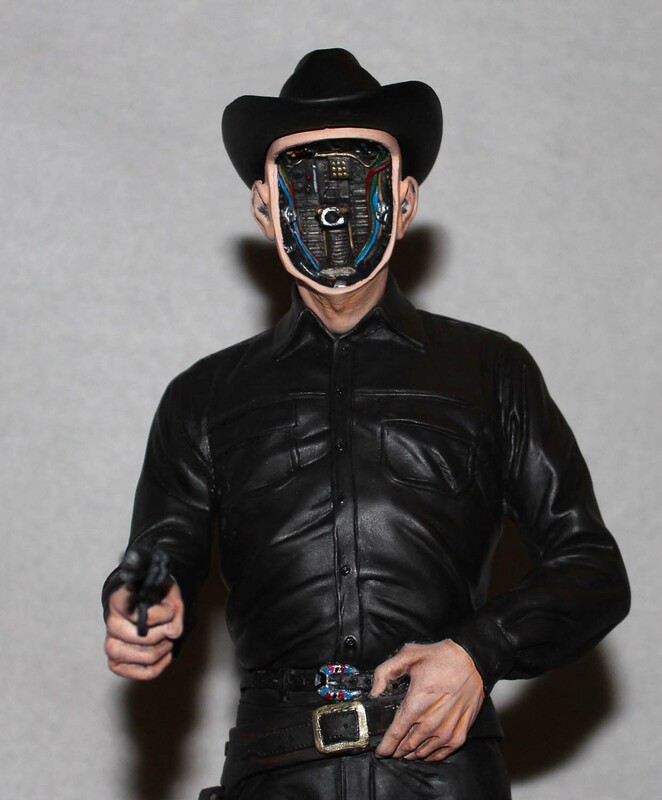 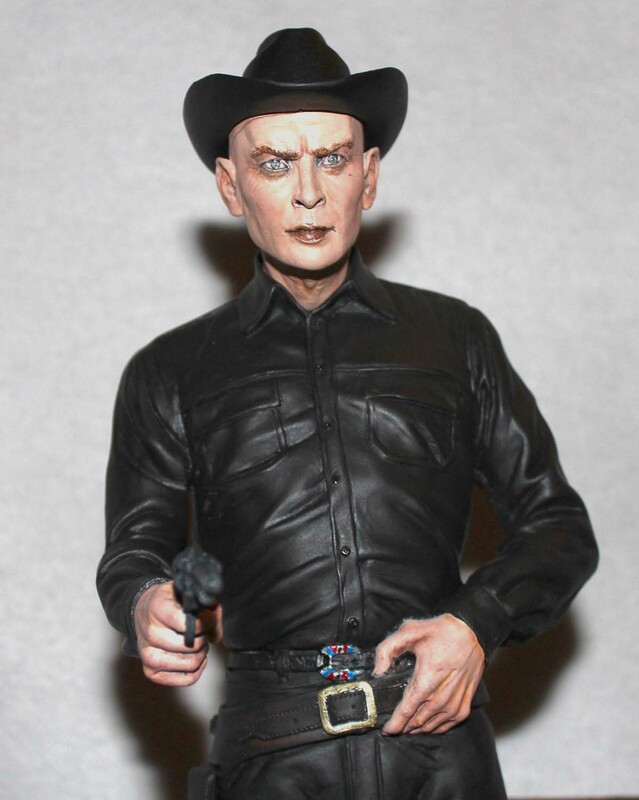 Sculpted by Jeff Yagher and released by Creature Features this piece showcases The Gunslinger, Yul Brynner, from the film, Westworld. 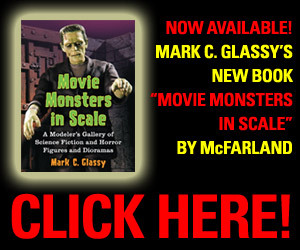 The figure is 1/6th scale and essentially all in black. To distinguish the figure clothing the shirt was painted a mars black whereas the pants were painted ivory black. 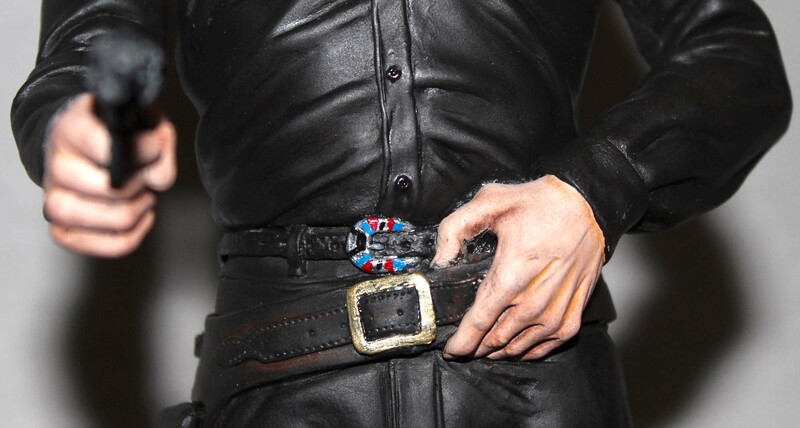 Chalk highlights were used to accentuate the wear of belt and holster leather. 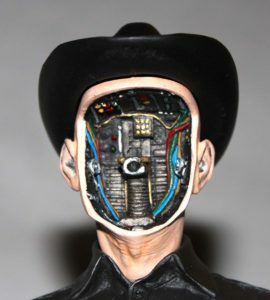 The head non-glued so either the Byrnner or the robot head can be displayed on the figure. 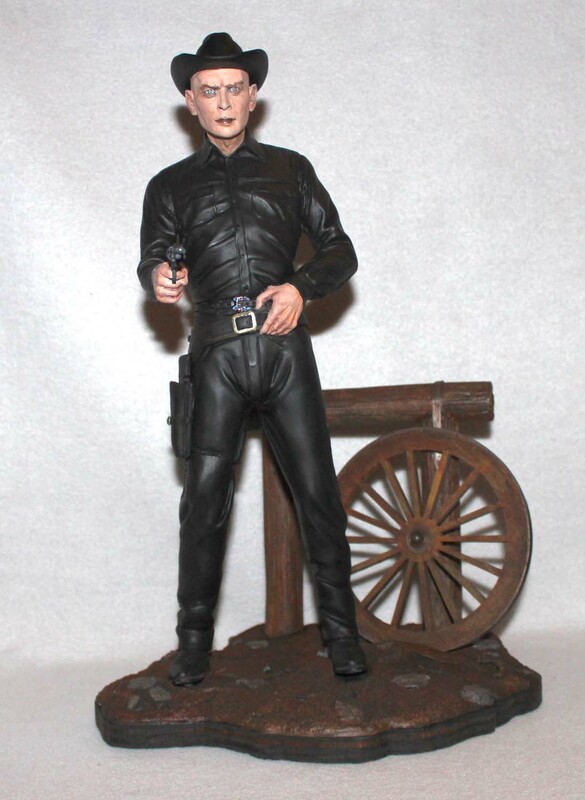 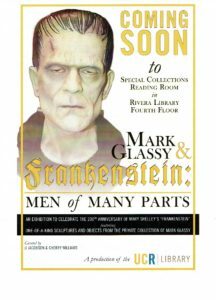 All in all, a very nice piece.